The process of determining retirement income goals and what actions and decisions need to be made to achieve those goals. Retirement planning needs to be done to prepare for life after paid work ends. A holistic approach to this planning should include financial as well as non-financial aspects, such as where to live, lifestyle choices, etc. Retirement planning not only considers your goals but also which phase of the plan you are in. Review, discuss, implement changes is the on-going process needed to ensure staying on track. Regardless of which phase you are in, whether you are on track or behind, we help you keep the commitment you made for yourself and the ones who matter most. Once you have made it to retirement, has the plan accounted for changes in Health Care, Social Security, Stock Market Fluctuations or any other unexpected issues? As you can imagine, your plan is a living document that has and needs to change based on your goals and what the future will bring. 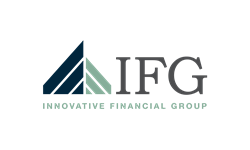 At Innovative Financial Group – Atlanta, we are here to help you identify these “changes” and consistently monitor and review your accounts to ensure you are prepared for any of these obstacles so that you can enjoy your retirement exactly how you imagined. Contact us today for a complimentary conversation and hear how our discovery process can help create your plan.